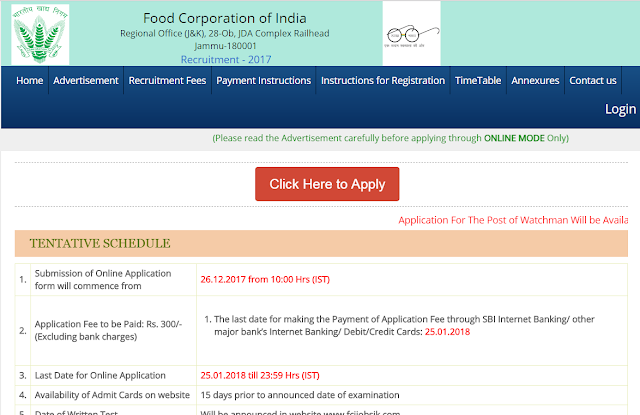 Food Corporation of India Jammu & Kashmir Recruitment - FCI has released Recruitment notification for Watchman post for Jammu & Kasmir Unit, Check official details here. FCI has released online Official notification for 62 watchman post for Jammu & kasmir region. Please check below important date, fees, age limit etc. The application fee can be paid through net banking/ credit card or debit card or challan at SBI.